Sussex Sedition: That's Your Allotment! 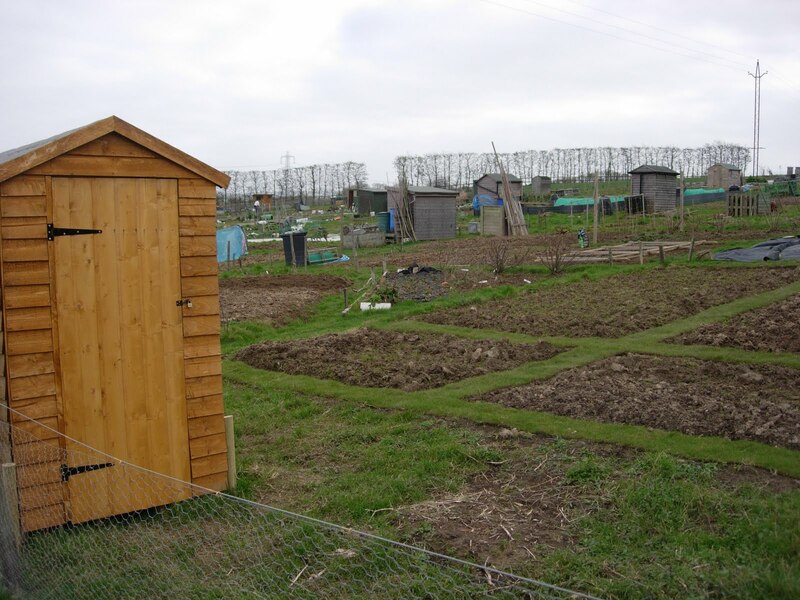 In 2006, a group of friends who would become the nucleus of the Herstmonceux Allotment Association (HAA), wanted to be able to grow vegetables beyond the limits of their back gardens. The one significant problem they were faced with was that the village had no allotments. When it became clear that there was no publicly-owned land available, the HAA enlisted the support of Herstmonceux Parish Council in trying to find some local land that would fit the purpose. They also contacted the National Society of Allotments and Leisure Gardens (NSALG) for advice and guidance. The parish council approached local landowners to see if any would be willing to lease land for use as allotments. Several possibilities were explored but poor soil, public access or potential legal difficulties meant these opportunities did not come to fruition. Then a local fruit farmer came forward; he was keen to support local people involving themselves in food production, he had a two acre orchard of apple trees coming to the end of their natural life and was willing to make the site available. The parish council entered into a lease of the site and in July 2008, the HAA held an open day at the site to begin recruiting members and potential plot-holders. In February 2009, after the trees had been removed and the parish council had provided fencing to enclose the site, Root Collecting Day was held when HAA members carried out a ‘forensic sweep’ to remove the last traces of apple production. Fifty-two plots were subsequently marked out and allotmenteers took possession the following month. All-important water tanks were also installed at key points on the site. In the summer, there was an official opening on a gloriously sunny day with allotment-holders, parish councillors, the NSALG, a barbecue and a barrel of cider all present. Plots are rented from the parish council at a cost of £25 a year, with some allotmenteers renting double plots. The site was fully occupied for the first growing season; a lot of digging was taking place but everybody got some food out of the ground. According to the NSALG, 30% of new allotment-holders give in after the first year; at Herstmonceux, only one person hung up their trowel. Two years on, some double plot-holders have downsized to single plots but the site is still fully occupied and there is a waiting list. Although the parish council manages the site, the HAA takes responsibility on the ground. The site needs to be tidy and plots need to be within the terms of tenancy agreements. But it’s not all about regulation: there is an Apple Day every October where members pick juice apples elsewhere on the fruit farm to raise funds for the HAA and the barbecue and cider barrel appear again. Membership of the HAA is not compulsory for plot-holders but £5 a year provides discounts with local nurseries and seed merchants and involvement in the way the site is run. What is most impressive about the Herstmonceux allotments is the sense of togetherness. There are no competitions to intimidate you over the size of your carrots and cucumbers. And the variety is incredible, in terms of people, plots and produce: mature, experienced growers to young families and everyone in between; symmetrical order to ramshackle chaos; spuds to salsify and onions to okra. An allotment requires a bit of hard work, though. When I was there one freezing cold Sunday morning in late February, there were quite a few hardy souls bent to the soil, like peasants on the Russian steppes, in a chill east wind; but such dedicated preparation brings rewards in abundance later on. So, if you wish you had an allotment but there is not even a site where you live, don’t be put off. It might take a bit of time but remember: growing veg is not just a one-off, it’s for life.